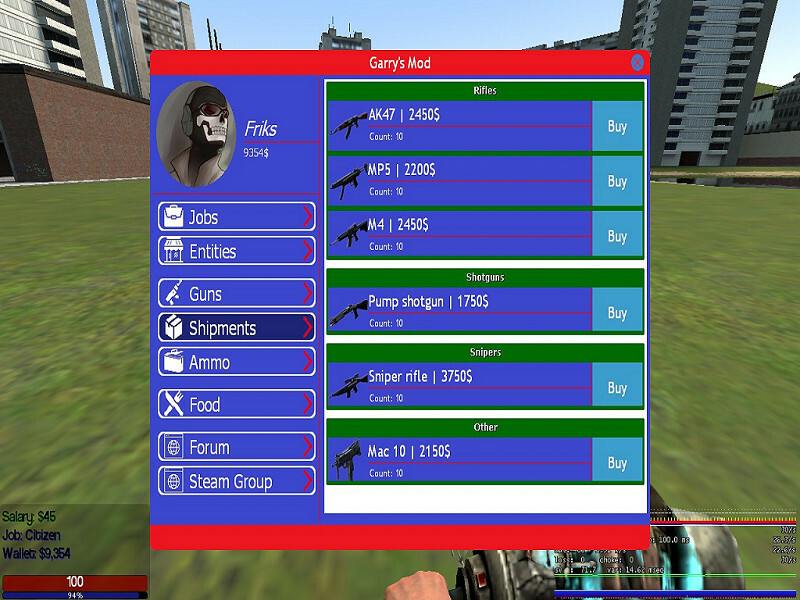 F4 menu for DarkRP gamemode with permanent updates, also great features in config file. In the updates will be your wishes for this F4 menu. F4 is a fully functional menu for your DarkRP server. All that you would like to see in this F4 menu, you can write to me, and if your idea turns out to be really good, you will see your wishes in the new update. If you have any questions / wishes and the like, then write to me in Steam - Friks.